“Arctic Noise” presents twelve hard hitting electro-industrial anthems – “Hitting Ground”, “Black Cinder” and “Hey Mister” are vibrant electro soundtracks that will hit the electronic dance-floors all over the world with a vengeance. The album also presents you with a more atmospheric soundscape in tracks like “Lies Told” and “The End of the World”. 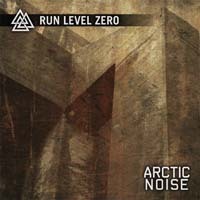 “Arctic Noise” is an electroindustrial soundtrack; coarse voices mixed with solid, powerful beats; a vivid and vibrant electronic soundscape that will please many!